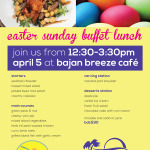 Divi is celebrating Easter, Caribbean style! Beach camping during the Easter season is a popular activity on many Caribbean islands, especially on Aruba and St. Maarten. This tradition has been around for decades, and locals and tourists alike take part in the experience. 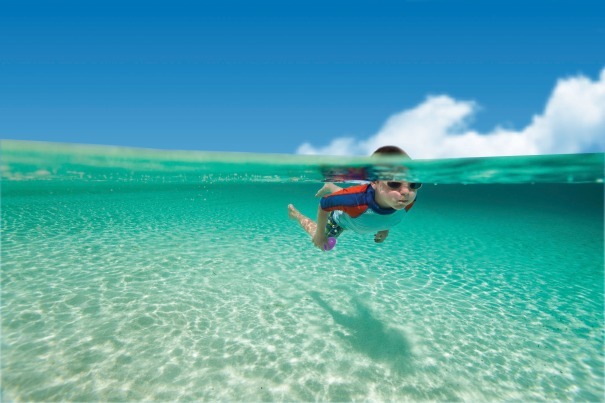 Beaches will be full of tents during the week leading up to Easter Sunday, with tons of families enjoying their campouts and reconnecting with the beach environment. There will also be a lot of great activities, like beach tennis and soccer competitions, live music from local artists and entertainment from fellow campers. On Barbados, kite flying is a unique Easter tradition that takes place on Good Friday. People of all ages join together to participate in kite-flying competitions and challenges with both store-bought and homemade kites, and it is definitely worth seeing if you’re on the island. The sky will be full of bright colors, and the lively energy will put you in a festive mood! 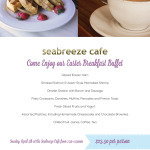 On Good Friday, April 3, Aqua Mania Adventures on St. Maarten is offering the Tango Easter Dinner Cruise for only $75 per person. This sunset sail includes an open bar and dinner buffet with traditional Caribbean fare, plus dancing under the stars! You won’t want to miss this lively cruise to kick of Easter weekend, so stop by the Aqua Mania desk at Divi Little Bay Beach Resort to sign up. 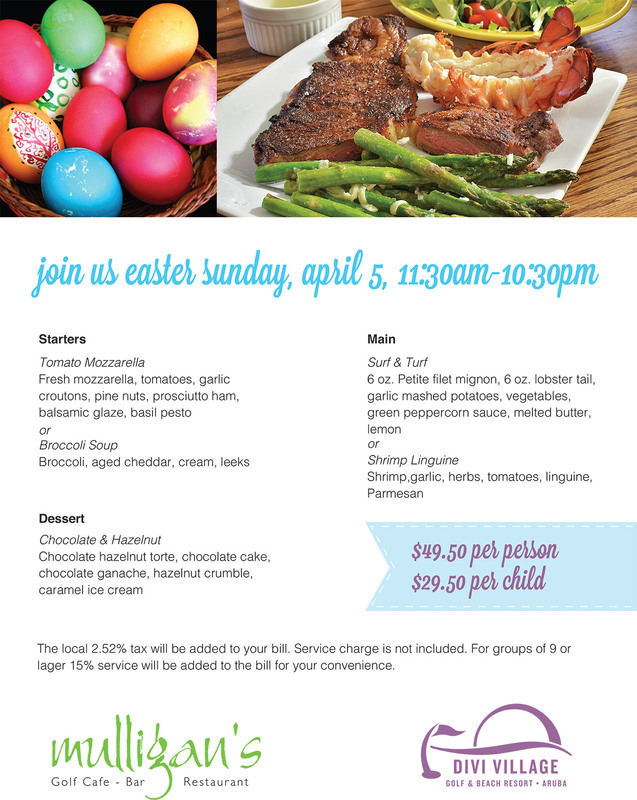 Many of our Divi Resorts destinations will be in the Easter spirit, with fun activities, special menus at our restaurants and more! 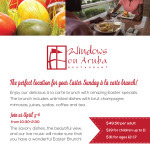 Windows on Aruba will be offering a delicious prix fixe brunch, featuring unlimited dishes, champagne, mimosas and more. 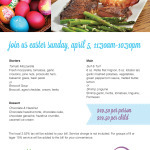 At Mulligan’s, there will be a special Easter menu for lunch and dinner. 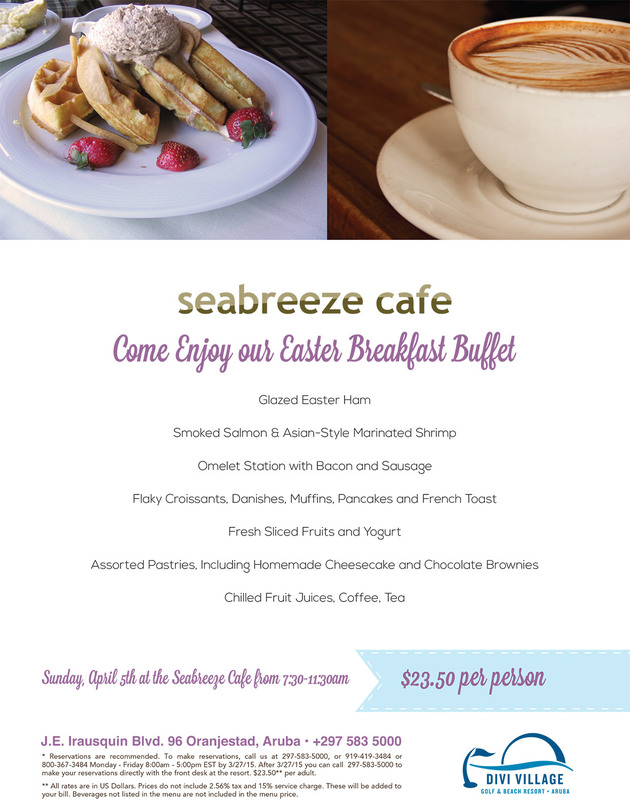 An Easter breakfast buffet will be offered at Seabreeze. 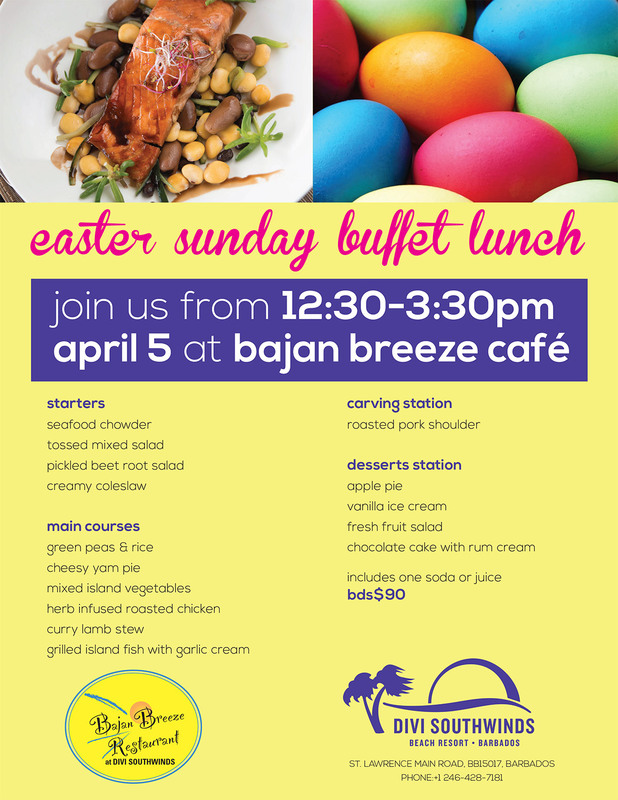 Bajan Breeze will offer a buffet lunch with a carving station. 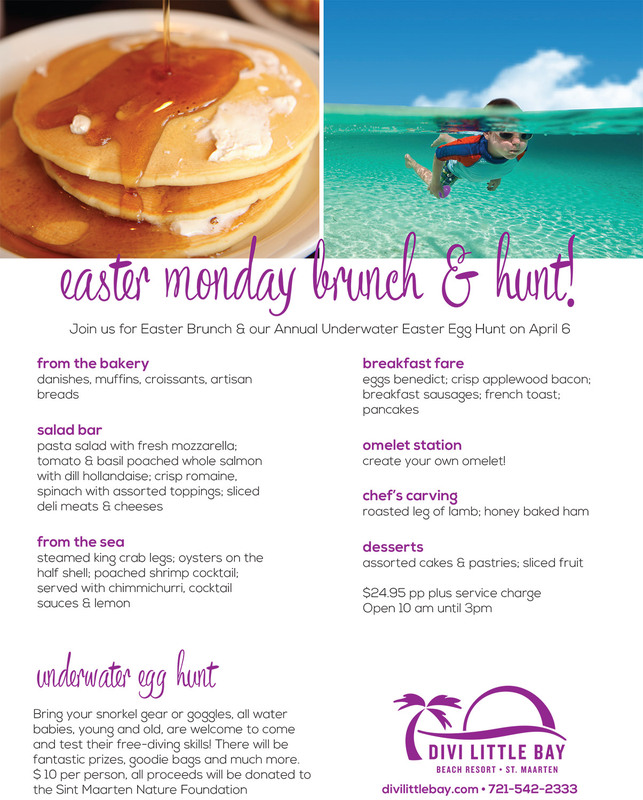 On Easter Monday, Divi Little Bay Beach Resort will host a brunch with a prix fixe menu and an underwater Easter egg hunt. 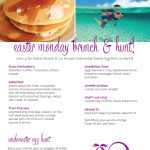 Winners of the underwater egg hunt will win special prizes, and all proceeds from the event will go to the St. Maarten Nature Foundation. 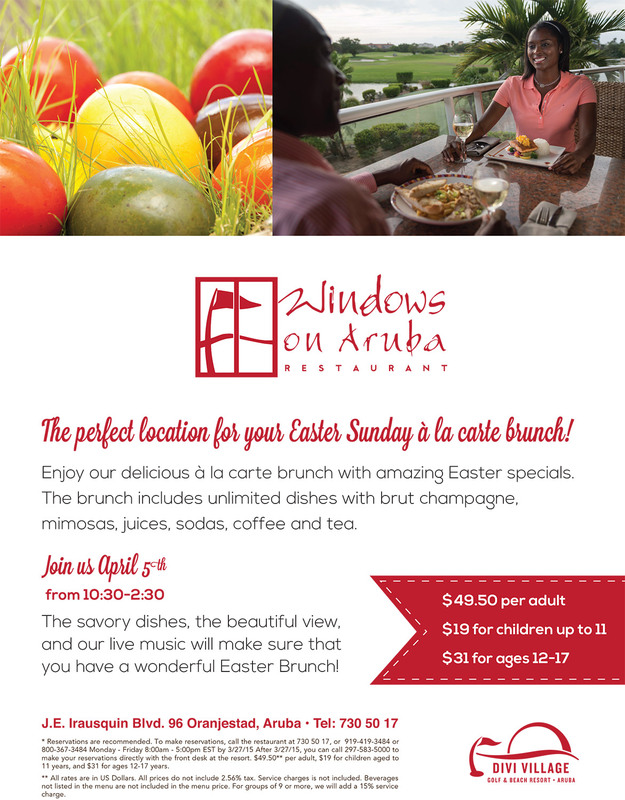 For more special Easter weekend events and dining options at your favorite Divi Resorts destination, check with the front desk. Happy Easter!